With almost a full slate of games, the Blue Jays’ minor league teams managed to go 4-3 on the day with some excellent bullpen appearances for many of the clubs. No, it’s not deja vu: the Bisons lost their second straight game to Lehigh Valley by a score of 5-4. Former Blue Jays draft pick Aaron Nola continues to tear up the minor leagues, winning his second game in Triple and kept the Bisons off the scoreboard until the eighth inning, by which time it was a little too late when former Bison Adam Loewen came in to save the game, retiring all four batters he faced and striking out three. Daniel Norris made the start for Buffalo and struck out nine batters with only one walk in six innings but also allowed four runs on eight hits. Colt Hynes gave up the other run while Andrew Albers pitched two scoreless innings to finish the game. Alex Hassan continues to ride his hot streak, going 3/4 with a double while Matt Hague drove in a pair of runs with a double and Caleb Gindl was 2/3. With an excellent all-around effort, the Fisher Cats took a victory after K.C. Hobson launched a two-run home run in the seventh inning. For Hobson, it was his ninth home run of the season and Jon Berti was 2/4 with a run. Andy Fermin doubled. Joel Pineiro went seven innings for the victory, giving up just one run on eight hits with five strikeouts while Blake McFarland earned his tenth save, facing six batters and striking out five for a two-inning save. Luis Santos was hit hard in Game 1 of a double header, allowing all five runs over 4 2/3 innings, giving up eight hits and two walks. Alonzo Gonzalez finished the game, retiring all four batters he faced and picking up two strikeouts. The batters had only four hits with Dawel Lugo responsible for driving in the club’s only run with a single. 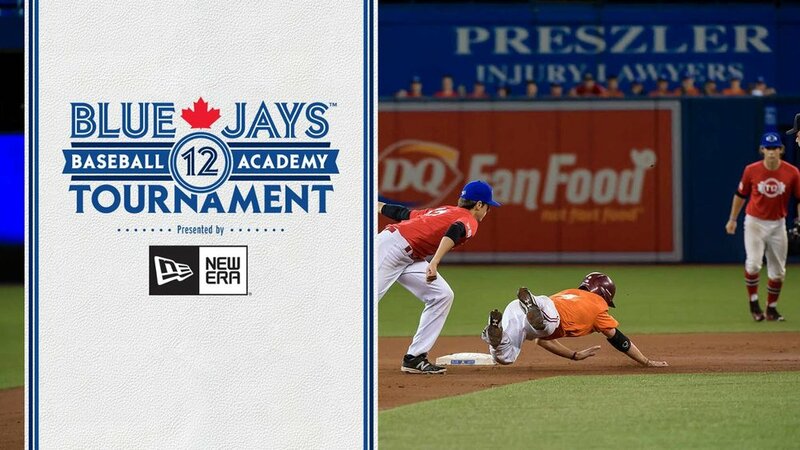 Game 2 was a far better affair for the D-Jays as the offense kicked into gear, getting nine hits in the seven-inning game. Dawel Lugo had another two hits while Martin Medina was 2/3 with a double and an RBI. Dickie Joe Thon hit a double while Jonathan Davis (J.D.) was 1/3 with a walk and an RBI and L.B. Dantzler, Mitch Nay and Derrick Loveless each drove in a run. Jeremy Gabryszwski threw five innings, giving up four runs on eight hits and a walk with six strikeouts. Justin Shafer gave up another run in an inning and Wil Browning earned his 13th save with a scoreless inning of relief. The Canadians got behind early and couldn’t come back, dropping the game 6-3 to Tri-City and dropping their record to 3-4. Evan Smith gave up five runs (three earned) on six hits and a walk in 4 2/3 innings. Brandon Hinkle threw 1 1/3 scoreless innings, striking out two while Joe Claver gave up an unearned run in 1 inning and Bob Wheatley struck out two in a scoreless inning. Juan Tejada had a single and a double, driving in a run while Christian Vazquez and Kevin Garcia each had a double with Garcia and Juan Kelly driving in a run each. The Blue Jays rallied for two runs in the eighth and two runs in the ninth to come from behind and pick up their first win of the season. Rodrigo Orozco was 3/5 with a run while Deiferson Barreto, Carl Wise and Christian Williams each had two hits. Wise scored twice, drove in a run and took a walk while Williams scored once, walked once and drove in two. Matt Morgan was 1/3 with an RBI and a walk while Freddy Rodriguez was 1/4 with a walk and a stolen base. Jacob Brentz was on the mound to start the game and had an encouraging start to the season, going five scoreless innings and allowing only three hits while striking out four. Grayson Huffman allowed all four runs on four hits and walk in just one inning. Alberto Guzman pitched two scoreless innings while Tyler Burden earned his first professional win with a perfect ninth, striking out two. The Blue Jays’ pitchers outdueled the Yankees’ to wrap up a 1-0 victory and to take their first win in GCL play. Denis Diaz started on the mound and, despite walking four, didn’t allow a run over 3 2/3 innings. Mike Estevez had the best line of the day, giving up just two hits in 2 1/3 innings with four strikeouts and no walks. Ryan Cook earned a three-inning save, walking one and striking out one in the game’s final three innings. The offense didn’t do much, but Edward Olivares got two of the club’s five hits and Kalik May hit a double, scoring the Jays’ only run. Jake Thomas was 1/2 with a walk and an RBI and Juandy Mendoza walked twice, going 0/2. On Wednesday, the Blue Jays thrashed the Reds, getting 19 hits and scoring 14 runs. Sterling Guzman had three hits and drove in four runs while also taking a walk while seven other Blue Jays had two hits apiece. Kevin Vicuna was 2/4 with a walk and an RBI, Yorman Rodriguez launched his first home run and was 2/5 with two runs and a walk, Enmanuel Moreta was 2/4 with a triple and two RBI, and Antonio Concepcion was 2/2 with a double. Also contributing were Antony Fuentes who was 2/5 with a walk and an run, Jesus Navarro who was 2/4 with a stolen base, four runs scored, a walk and an RBI and Sam Buelens, who drove in two and was 2/4 with a double and three runs. Elio Silva went three innings and didn’t give up a run, allowing two hits and a walk with three strikeouts. Jose Dominguez, Jose Acosta and Juan Nunez had scoreless outings while Wilmin Lara gave up two runs in his inning and Alvaro Galindo allowed two runs (one earned) in an inning but struck out three batters. In Tuesday’s game, the DSL Blue Jays didn’t get their bats going and fell 3-1 to the Reds. Jose Nova allowed three runs (two earned) over a strong 5 2/3 innings, giving up just three hits and two walks with six strikeouts while Tommy Henriquez followed up with 3 1/3 innings of scoreless, two-hit ball. Yorman Rodriguez was 2/4 while Norberto Obeso drove home the team’s only run with a sac fly and a single, also taking a walk.